Exceptional villa with private swimming pool and sea view ! 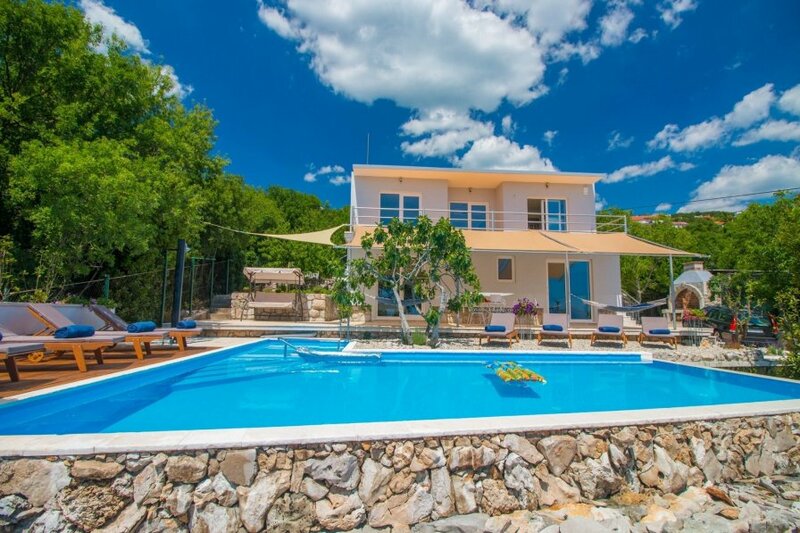 This exceptional villa with private swimming pool and sea view is located in the Crikvenica. Your villa offers complete comfort including fully equipped kitchen with dining space and great living room with library and terrace, luxury bedrooms with bathrooms, air conditioning. Covered terrace with eating furniture and barbecue is a wonderful place to sit. Sun loungers ,parasol, outdoor shower and bio-garden is free to use. Depending on the season, you will have fruits (cherries, sour cream, walnuts, apples, grapes, figs, quinces, melons ), vegetables (various salads, radicchio, chard, tomatoes, peppers, peppers, cucumbers, zucchini ...) and herbs (thyme , Coriander, basil, mints ...) from the gardens at your vacation.